For companies working in orphan diseases, support from patient advocacy groups and foundations is critical, both in terms of providing much-needed funding and building relationships with the small patient communities. But 2011 start-up Halo Therapeutics LLC credits its connection to patient groups to the company’s actual formation. 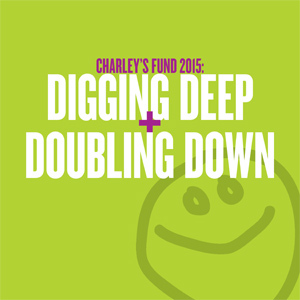 Charley’s Fund and the Nash Avery Foundation both direct money for research in Duchenne’s muscular dystrophy (DMD). Those two particular associations began working with Marc Blaustein, who serves as CEO of Halo, and other industry veterans, “looking for ways to more effectively use their funds,” Blaustein told BioWorld Today. Together, they identifi ed a drug that appeared to be a promising candidate in DMD. A pharma fi rm had been working on a formulation of halofuginone, a compound derived from an herb used in traditional Chinese medicine, in several indications. Though the drug had never been tested in DMD, its anti-fi brotic properties sounded promising. DMD is a progressive neuromuscular disease that affects the production of dystrophin, a protein that “acts as shock absorber in muscles,” Blaustein said. DMD patients suffer muscle damage and muscle degeneration, with fatty and fi brotic tissue replacing healthy muscle, becoming fatal when it affects the diaphragm and heart muscle. Right now, treatment with a corticosteroid is the only therapy available to patients. At best, it delays some disease progression, Blaustein noted. AVI’s drug, as with Prosensa NV’s Phase III-stage PRO051 (GSK2402968), partnered with GlaxoSmithKline plc, is based on exon-skipping technology, which means it is aimed at a subset of DMD patients. Another candidate, ataluren from PTC Therapeutics Inc., also is targeting another DMD subset, those whose disease is caused by nonsense mutations. Another approach, in development by fi rms including Summit Corp. and Tivorsan Pharmaceuticals Inc., focuses on creating drugs that can up-regulate utrophin, a similar, naturally occurring protein to dystrophin. Those drugs have the potential for use in all DMD patients. HT-100, which recently was granted orphan status by the FDA, works via a mechanism designed to affect the disease in two ways: “First it promotes muscle regeneration and then it halts, and even reverses, fi brosis,” Blaustein explained. Its mechanism also could open up the possibility of combining HT-100 with other drugs in development, such as the exon-skipping candidates. Halo hasn’t conducted any such trials yet, but combination treatments likely will become part of clinical testing “as the standard of care evolves,” he said. Halo is gearing up for a Phase II study to start in the second half of this year to test the drug’s safety, tolerability, pharmacodynamics and effi cacy. “We’re going to look at measures of fi brosis,” Blaustein said, as well as clinical performance measures such as strength, the six-minute walk test, the stair climb and other measures of clinical function. To date, Charley’s Fund and the Nash Avery Foundation has funded all of Halo’s work. As work advances, the fi rm will be looking to bring in additional money from venture or institutional investors and strategic partners, Blaustein said. “The science behind HT-100 is very strong,” he added. “It’s very exciting, and it’s caught a lot of people’s attention.” Because of its anti-fi brotic activity, HT-100 also could be expanded into clinical testing for other indications. Halo’s goal is to target DMD fi rst and then develop a strategy for other areas, hopefully in collaboration with a partner.